A long standing Academic who over 30 years has championed Africa and the new initiatives challenging the Western World, Stephen Chan is committed to the principles of praxis, whereby academic scholars should engage with society and the real world as much as with books. In these series of podcasts, Stephen takes the listener through a personal reflection where he discuss current and sometimes controversial topics in the international agenda. 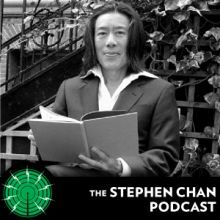 Stephen Chan is Professor of International Relations at the School of Oriental and African Studies in the University of London. He has published 27 books on international relations and more than 200 articles and reviews in the academic and specialist press, as well as over 100 journalistic feature articles.